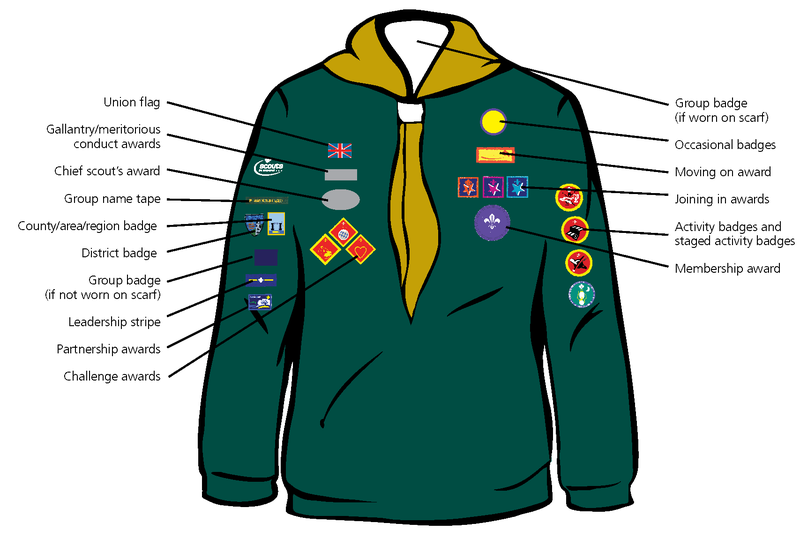 The uniform required consists of a dark green Cub sweatshirt, navy activity scouting trousers or shorts, our navy blue/white group scaft & a woggle. Most be worn at each Cub group meeting and a events. The scarf will have been given to Cubs at Beavers, if New in at Cubs then we will supply it along with the woggle when investing Cubs. Group T-Shirt available to purchase from the Beaver Leader or ask your Cub Leader. If you were a Beaver Scout you will be allowed to wear some of your Beaver Badges on your Cub uniform. These include any stage badges, joining in badges-Bronze award and Group badges. Ask your Leader if unsure.